Extra Scobys + Continuous Brewing - Fine Feathers Kombucha Co. In this post, we discuss the “continuous brewing” method and give you ideas for what to do with extra scobys. If you have any questions about these topics after reading the article, please feel free to contact us! A continuous brew is another kombucha brewing method that involves intermittent consumption of the fermented tea. Usually, a container with a spigot is used to facilitate quick dispensing and more sweet tea is added to replenish the quantity dispensed. 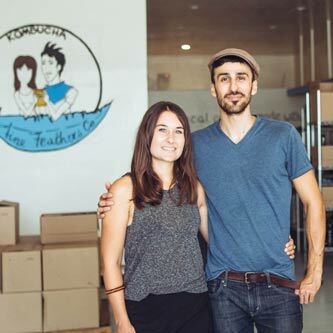 PROS: It’s easier than bottling for busier people, and the kombucha is just a pour away! And finally, if you are not actively brewing a batch of kombucha, you can make Scoby Hotel (just keep the scobies submerged in kombucha starter liquid until you’re ready to start a new brew).